A fusion of materials, personal identities and collaborative work defines a project that mixes Dekton with the Actiu product in all of its proposals. Cosentino is a Spanish multinational company that produces and distributes high-value, innovative surfaces for the architecture and design world, and whose brands, Silestone and Dekton, pioneers and leaders in their respective markets, have earned their place in the global arena. 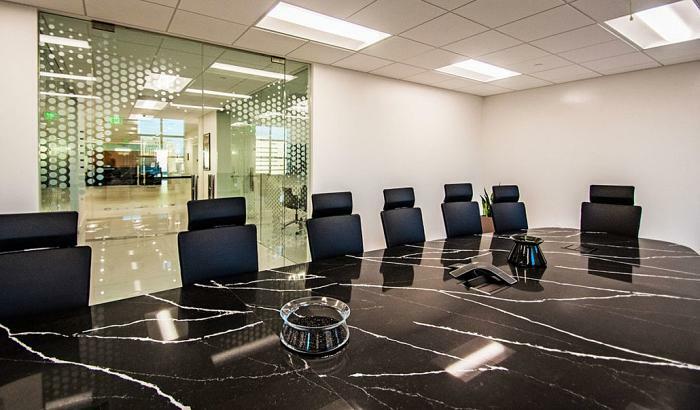 To equip their offices in the US, Cosentino was looking for a partner capable of merging one of their star products, Dekton, into each piece of furniture. Dekton is a sophisticated mix of raw materials that give rise to a high-performance material for architecture and design projects. Actiu, thanks to its productive flexibility with which it can adapt its production to the needs of each project and provide customised products, in conjunction with its partner Masof, knew how to integrate Dekton into each piece of furniture. A fusion that had a precedent: the product made in February of 2014 at the Actiu stand during the Feria Hábitat Valencia, where the first collaboration between Actiu furniture and Cosentino’s Dekton surface was presented. 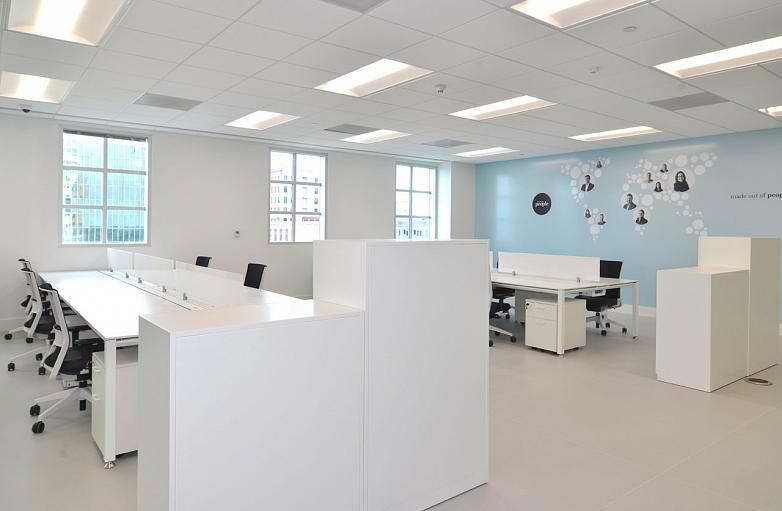 Furniture was then installed in different offices in Houston, Nashville, Philadelphia and, most recently, in Miami, Florida, which the brand inaugurated in the US, where for years it has been developing an expansion and consolidation plan that has made it the first Spanish company with the most extensive commercial network in all of North America. For these new offices, in which more than 100 people work, the integration of Dekton is exhaustive, and is now a part of all the furniture in addition to being the main protagonist in all of the design and decoration. 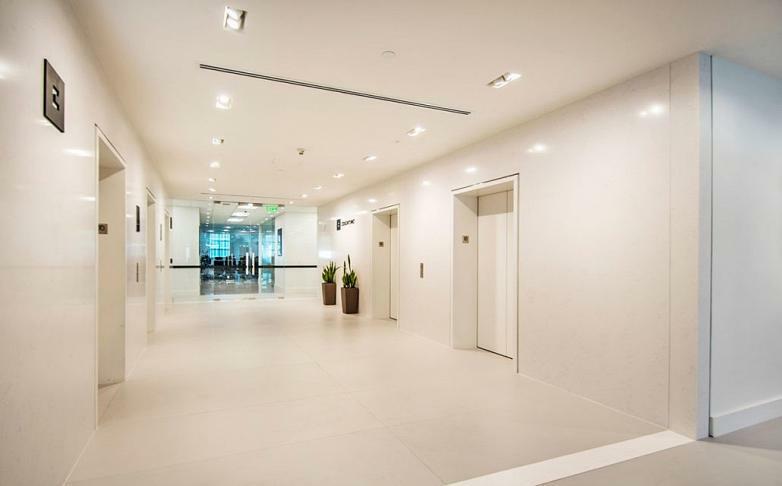 A clean, white, bright, elegant appearance and a strong presence welcome the company’s employees. “The design and manufacturing process for all the furniture was integrated to create products that had a Dekton surface, with all of Actiu’s performance and safety features. To do so, we selected architectural design products with a robust presence, such as the Arkitek range by Alegre Design”, explains Joaquín Berbegal, CEO of Actiu. “Each product has been tailor-made in order to be able to implement Dekton on its surface, taking into account basic issues such as electrification and the passage of cables. As a result, on the Dekton surfaces, which are resistant and durable, perforations have been made in strategic locations in order to facilitate channelling”, Berbegal points out. 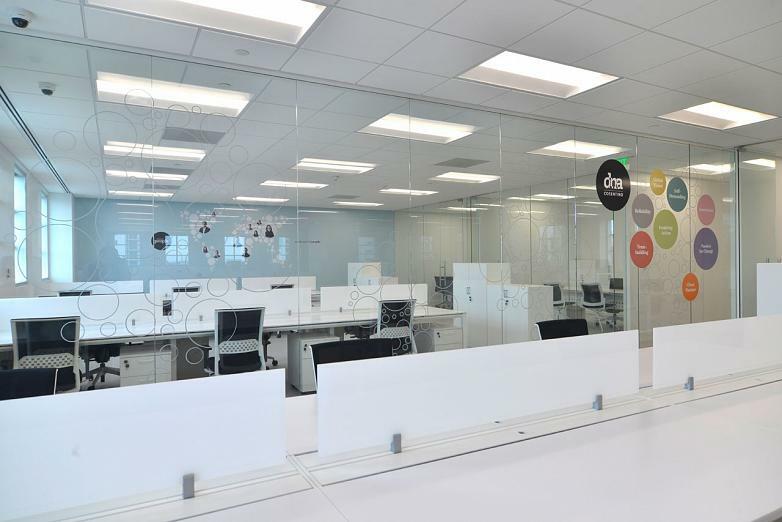 For its part, the Vital+Dekton range has been installed for the desking. 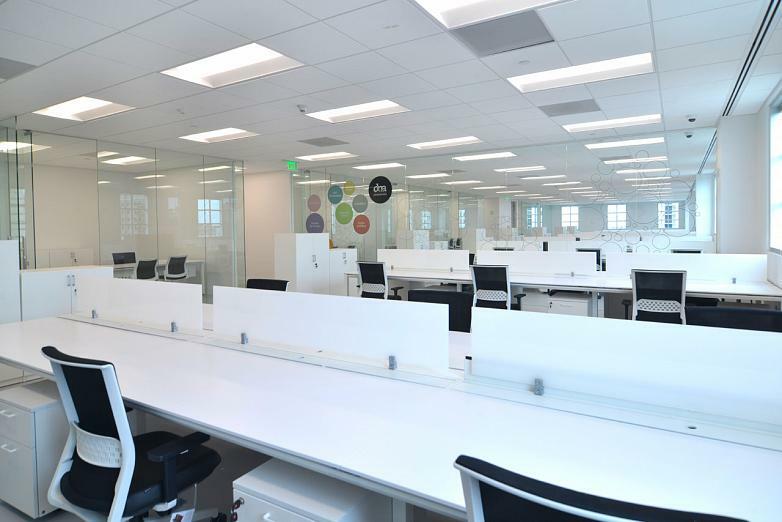 “We gave them guidelines for the thickness and size of each of the tables. Then they were installed, with a continuous electrification channel at the bottom of the table that allows for quick access to front covers. This allows all the cables and connections to be hidden there, providing a clean visual aesthetic. All production of this furniture has been carried out under these guidelines, while adjusting our furniture to their needs”, explains Berbegal. All tables have separation elements that allow each person to maintain their privacy, in addition to personalising their work space. These screens are perfect for facilitating concentration, and also enable each person to have a small personal space that they can decorate as they like. As a storage solution, always using white finishes that match nicely with the other elements in the office, high cabinets and personal pedestals have been installed so that each user can quickly access their belongings, kept safe with security keys. The task seating chosen for the desking is the Stay model, which combines functionality with an excellent price-quality ratio. Designed by Alegre Design, this model allows for great customisation and adaptation to the project, enabling it to be manufactured in the same black and white tones as the rest of the installations. In the meeting rooms, the models chosen were the Urban and Uma, with black upholstered arms for representation spaces. The installations, organised around large open spaces, have different independent meeting rooms separated with large windows that facilitate viewing, although they are disguised with decorative vinyl. 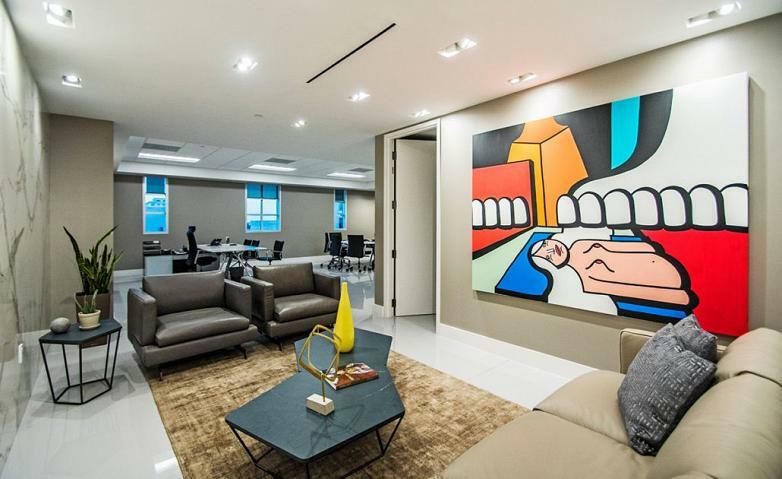 Finally, the new Cosentino offices in Miami have incorporated a large office room designed so that employees can eat or simply rest in a large and bright space. A socialisation space where employees can maintain informal relationships or look for a private space away from their own individual work stations. 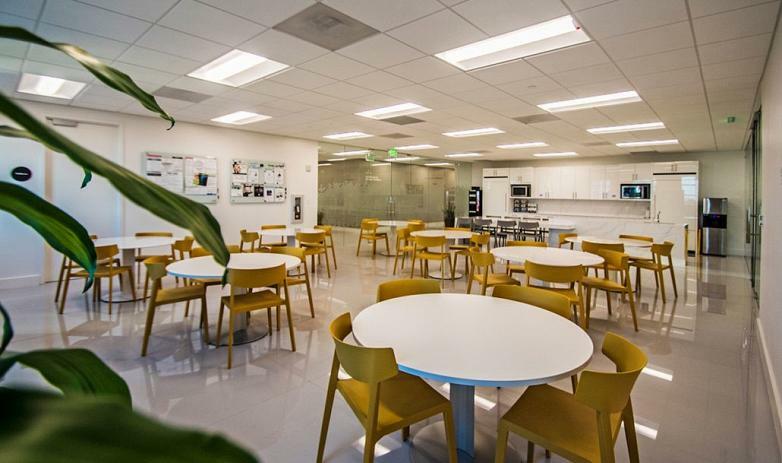 This area, just like the rest of the office, combines Actiu furniture with the Dekton surface on each of the tables. To achieve this, the Tabula model has intervened, accompanied by the Wing seating in a mustard colour, a tone that brings freshness and colour to a completely white space, where even the entire design of the kitchen has been made with Dekton.